Declared independence in 2011, South Sudan, the world’s newest country, has been mired in a devastating civil war for more than four years, with nearly 2.5 million fled to neighbouring countries and its economy in ruins. 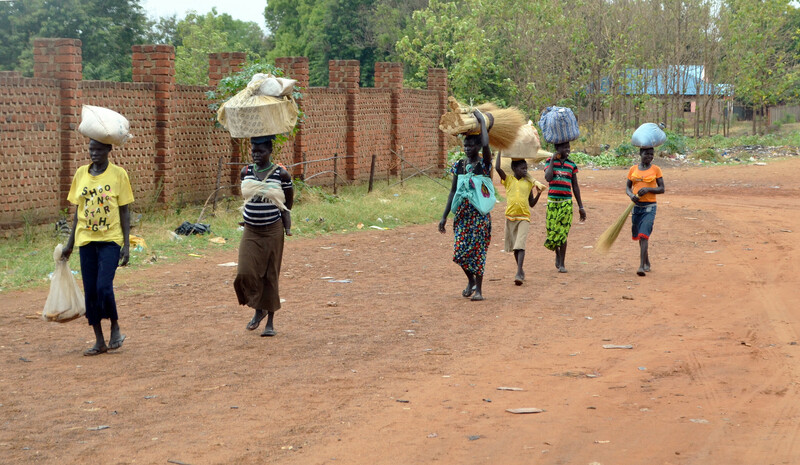 Armed conflict in South Sudan has forced civilians to flee the country. 15-year-old Nyalat fled South Sudan with her younger sister and they are now living in a refugee camp in Ethiopia. Nyalat recalls the day her village was attacked by armed rebels, two years ago, she grabbed her sister’s hand and ran into the forest. Since then, she found herself alone in a conflict zone with her sister to take care of. With the help of the UN Refugee Agency they were relocated to a refugee camp in Ethiopia’s Gambella region where they now live with foster parents and their children. But the cramped and overcrowded conditions in the camp have created a different set of problems. 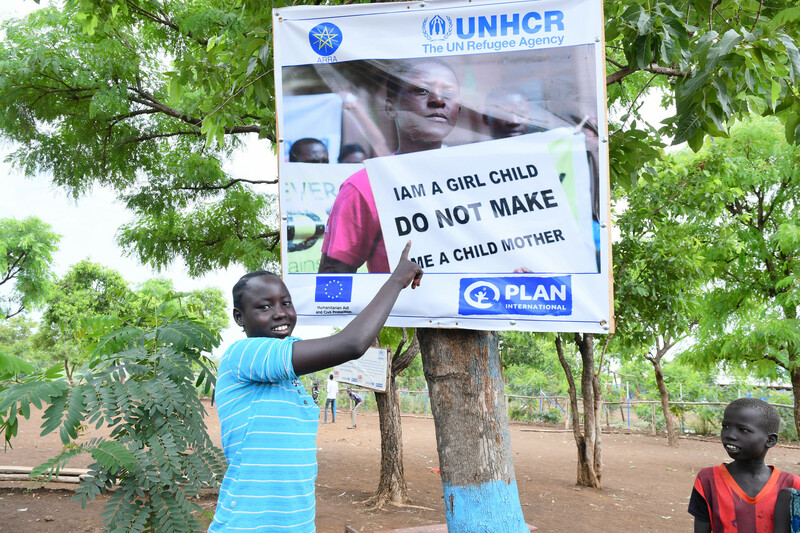 Nyalat advocates ending child marriage in refugee camp. “Girls face different challenges here, we couldn’t go to school and we were forced to do all the domestic chores for everyone. During menstruation, we were isolated for days without food. Worse still, there were rapes and abductions in the camp and girls felt very unsafe here.” Nyalat explains. Plan International is working in the camp on child protection, education and youth programmes and is committed to ensuring that girls in the camp are supported and they feel safe and protected. Nyalat plays game with her friends at the adolescent girls space in camp. An active member of the adolescent girls club, Nyalat participates in regular discussions, recreational activities and life skills training workshops. She has also taken on the role of educating other girls on sexual reproductive health, domestic violence and harmful traditional practices such as early marriage following the training at the club.